The main inspectorate for private schools has hiked its fees by 12 per cent after operating at a loss for the past two years. The Independent Schools’ Inspectorate (ISI), which inspects about 1,000 larger private schools, posted an operating loss of £441,000 last year, following a £498,000 loss in 2016. The losses have contributed to its reserves plunging from £2.3 million four years ago to just £236,000 last year. 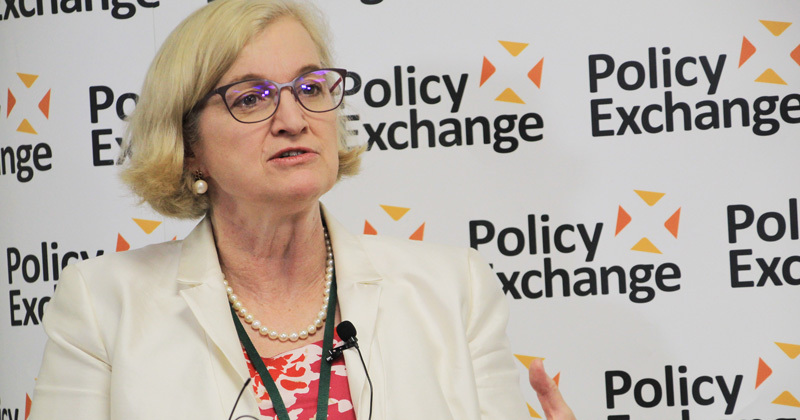 Disclosure of the financial troubles comes as Amanda Spielman (pictured), the chief inspector, this week asked the government for more powers to check on private school inspections. The ISI’s accounts, filed in September, said that the high cost of the independent inquiry into child sexual abuse, which examined institutions including schools, and having to write off money for a cancelled technology project contributed to the loss. Despite describing these as “one-offs”, the ISI has hiked inspection and introduced a “cost reduction programme”. A spokesperson said the inspectorate was “very conscious of the pressure on school finances and we continue to manage our costs tightly”, adding that it invested in high-quality training for inspectors. Spielman this week revealed irregularities in some reports by the ISI, which inspects schools belonging to the Independent Schools Council. Each year Ofsted is commissioned by the government to report on inspections by the ISI and the Schools Inspection Service (SIS), which inspects smaller private schools such as Steiner schools. In a letter to Damian Hinds, the education secretary, Spielman said her team’s work was “seriously hampered” by his department only commissioning 17 reviews out of 459 ISI inspections carried out this year. No on-site monitoring of inspections was commissioned. Most of the reports were good, but four “lacked sufficient precision”, Spielman said. Two reports did not make clear what leaders should do to improve, and the recommendations in two others did not focus on resolving a weakness identified elsewhere. “It is not clear how the recommendations will lead to an improvement in the school’s provision,” she said. Meanwhile, only six reports of 17 SIS inspections were commissioned last year, and two on-site inspections were monitored. Again two reports did not contain recommendations addressing weaknesses outlined elsewhere, leaving leaders unclear how to improve. And in two reports judgments were not supported by the inspector’s commentary – including one school that got a “good”. She has demanded that Ofsted carry out more “unannounced on-site monitoring visits” and termly safeguarding checks. Private school inspectorates should also provide inspection management information to Ofsted every six months, she said. However a DfE spokesperson said that in 2015 Ofsted had asked for a reduced role in monitoring private school inspectorates, adding the watchdog “still plays an important role in maintaining the high standards we expect in independent schools”.